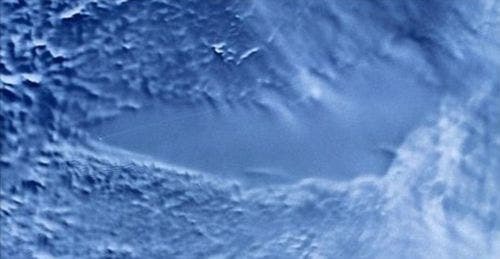 Russian scientists opened a frontier miles under the Antarctic ice, after drilling down and finally reaching the surface of 20-million-year-old Lake Vostok, an achievement the mission chief likened to placing a man on the moon. The gigantic buried freshwater reservoir could harbor life from Earth's distant past. The event is a major scientific achievement: "In the simplest sense, it can transform the way we think about life," NASA's chief scientist, Waleed Abdalati, told The Associated Press. The scientific commuity anticaptes that Lake Vostok could host living organisms that have been locked in frigid darkness for some 20 million years, as well as clues to the search for life elsewhere in the solar system such as Jupiter's "Ocean Moon," Europa, under the ice crust on Mars, and Saturn's moon Enceladus, also believed to harbor a vast buried ocean. Penetrating the surface of the lakecame after more than two decades of drilling when the Russian team made contact with the lake water Sunday at a depth of 12,366 feet (3,769 meters), about 800 miles (1,300 kilometers) east of the South Pole in the central part of the continent. "I think it's fair to compare this project to flying to the moon," said Lukin, who oversaw the mission and announced its success.American and British teams are drilling to reach their own subglacial Antarctic lakes, but Columbia University glaciologist Robin Bell said those are smaller and younger than Vostok, which is the big scientific prize. "It's like exploring another planet, except this one is ours," she said. Lake Vostok is kept from freezing into a solid block by the more than two-mile-thick crust of ice that acts like a blanket, keeping in heat generated by the Earth's geothermal energy. Lukin said he expects the lake to contain chemotroph bacteria that feed on chemical reactions in pitch darkness, probably similar to those existing deep on the ocean floor but dating back millions of years. "They followed different laws of evolution that are yet unknown to us," he said.Studying Lake Vostok will also yield insights about the origins of Antarctica, which is believed by many to have been part of a broader continent in the distant past. Lake Vostok might also provide an Earth-bound preview of Jupiter's Europa. "Europa, I think, is the premier place to go for extant life," said JPL's Kevin Hand, Europa really does give us this opportunity to look for living life in the ocean that is there today, and has been there for much of the history of the solar system."